This lovely solar powered home says "welcome home" the minute you open the door. New roof in 2016 new solar system at 2016. Fruit trees bear tons of loquat. Pineapple plants bear fruit as well. The HOA is $27 a month. The entry foyer is tiled and opens to the well-equipped kitchen. 1251 heated square feet. The great room is spacious and the rear porch is screened and has vinyl windows to keep rainy weather out. It also provides a great view of the nicely landscaped large back yard. The master bedroom is roomy and the master bath features double sinks and a tiled step-in shower. The dining room could easily be converted for a third bedroom if desired. This is a total solar power home which means the new owners can say goodbye to those large monthly power bills. This is a tremendous savings; The AC was replaced in 2010. 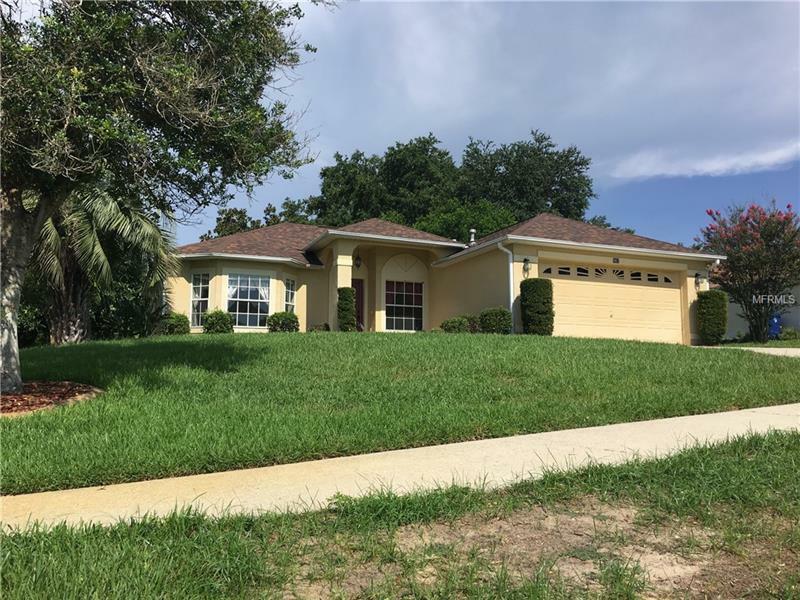 You will enjoy access to 13 lakes on the Clermont Minneola chain. You will love and enjoy the sandy beach on lake Minneola. This is a great house in a great location conveniently located near major highways the new Minneola turnpike exchange restaurants shopping hospital and great schools. Super quiet neighborhood and awesome neighbors. Taxes are $1741/yr. Appliances: Dishwasher Refrigerator Microwave Range Gas Water Heater Washer/Dryer negotiable.